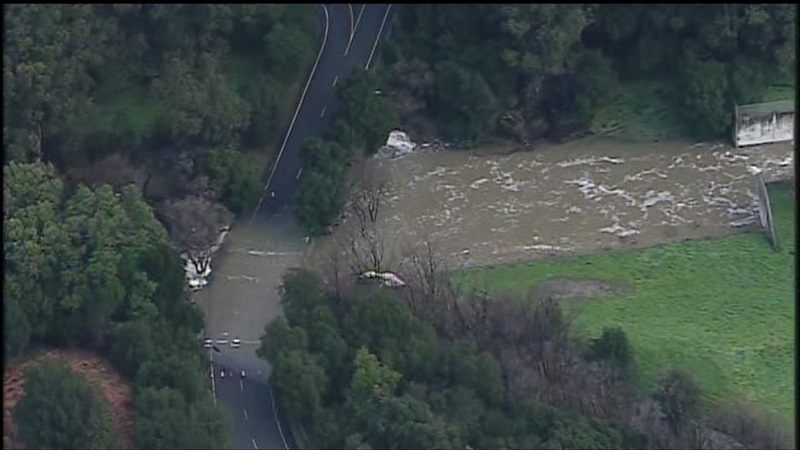 ORINDA, Calif. (KGO) -- Bay Area reservoirs are in great shape thanks to all the rain. The San Pablo Reservoir near Orinda is over capacity Monday, spilling onto an access road off Bear Valley Road. Officials say homes nearby aren't in danger of flooding. Four out of the five East Bay Municipal Utility District reservoirs are now at capacity. Half of the reservoirs in Santa Clara County are full as well.